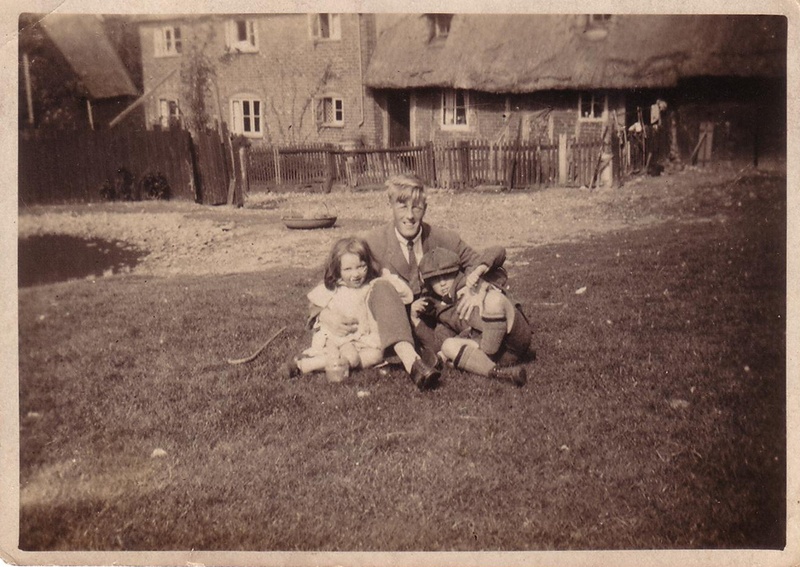 Joseph Johnson is pictured on Ditchmore Common with his daughter Louie and son Gordon. This page was added on 26/02/2011. not at the farm but bordering the limits of the farm which extended to bedwell and included what we now know as the dell and was known as a dell hoie jn 45 acre Lanterns field. Isn’t the location Bedwell Plash? Looks like the cottages/small farm on the south side of Bedwell Lane just south of the junction with the bottom end of Ditchmore Lane. Today Brent Court is just behind this land.